When it comes to Los Angeles escalator injuries the common hurdle is industry terminology. As a respected personal injury law firm in Los Angeles we recognize that we need to bring on professionals that have experience when it comes to dissecting the reasons for an injury or accident. That is why we work with Robson Forensic. Any and all of these parts could cause a severe injury. If just one of these parts malfunctions it could cause an individual on the escalator slip and fall or trip and fall. 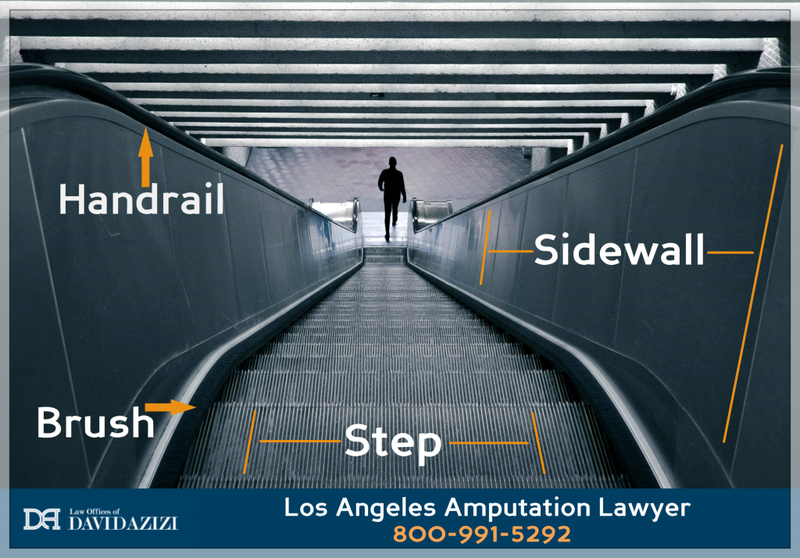 If you have been injured on an escalator accident in Los Angeles or in any part of California please feel free to reach out to the Law Offices of David Azizi today at 1-800-991-5292. We have experienced personal injury lawyers and attorneys that can help you receive the maximum compensation for your injuries. These are just some of the many areas that have escalators that could malfunction and cause an injury. Feel free to reach out to us at any time at 1-800-991-5292 if you have any questions as it relates to an escalator accident and injury. In 2016 there will be many instances in which a patron or shopper in a mall in Los Angeles or throughout California will be put in a comprised situation due to the negligence of the shopping mall owner. Before getting on any escalator it is best to make certain that it is running properly. If there are any types of herky jerky motions you may want to use the stairs or elevator. Almost all modern malls have some type of alternative to an escalator.